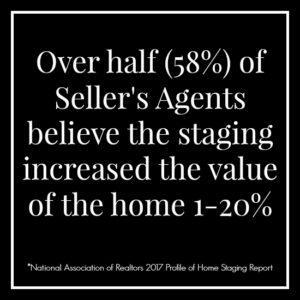 The National Association of Realtors (NAR) has been publishing home staging statistics since 2005. This is the latest report from 2017. 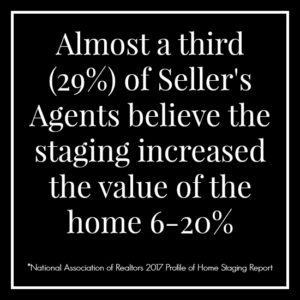 Does Staging Increase The Home’s Value? 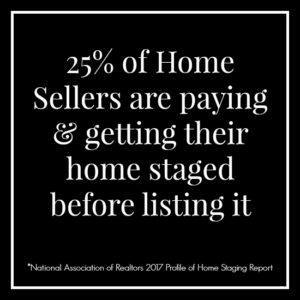 It’s great that “Seller Agents” are really seeing that the homes that are staged are getting a better price than the un-staged homes. While it’s hard to quantify exactly how much more a seller is getting for their home, it’s easy to say that improving upon a product usually nets you more. 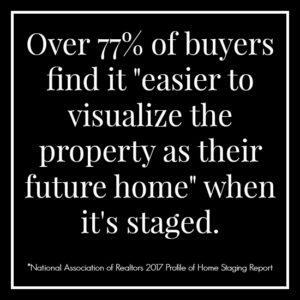 Does Staging Affect The Buyers Viewpoint? 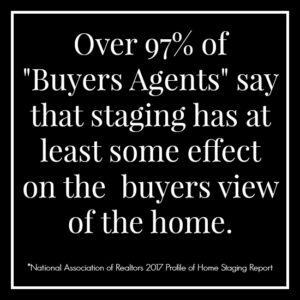 The Buyer’s Agent sees that taking their client’s to homes that have been staged provides a more likely offer since the staging does effect the way the buyer views the home. Do you have a home on a busy street, small lot or in a more undesirable area? 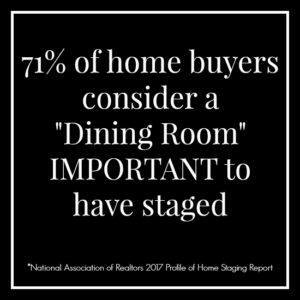 How Important Is Each Room From A Staging Standpoint? Wow! 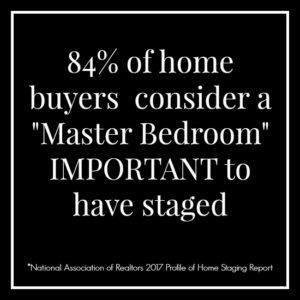 Living Rooms and Master Bedrooms topped the chart! 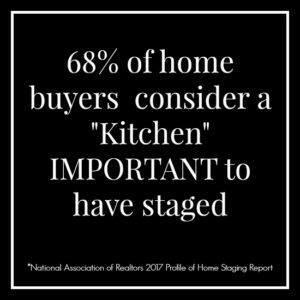 Staging the key areas in a vacant home which include the living areas, master bedroom, dining areas and kitchen are obviously an important factor to most buyers according to these 2017 home staging statistics! You bet! 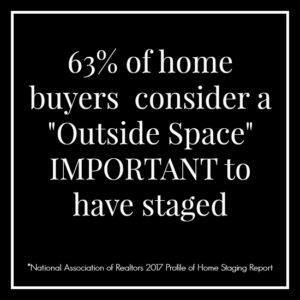 Outdoor areas are trending in importance to the aesthetic and return on investment, so it was nice to see that this area of staging was right behind the kitchen in importance! 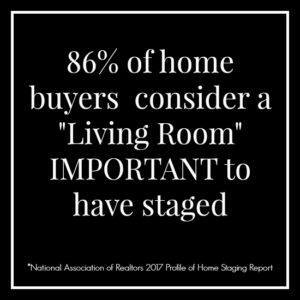 Who Pays For The Staging? 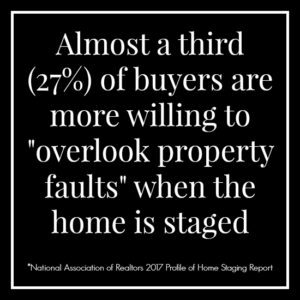 The home seller benefits the most by having their home “move-in ready” and staged, so they should be the ones to pay for this critical service. 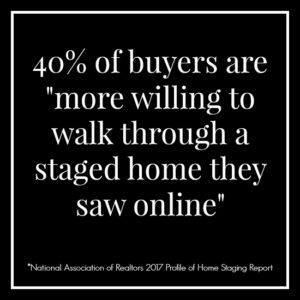 However, more and more real estate agents are paying for a “Staging Consultation” as part of their marketing plan.